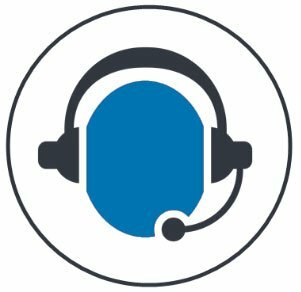 Looking for an IT support team to assist your business with help desk, remote support, or other technology related challenges? 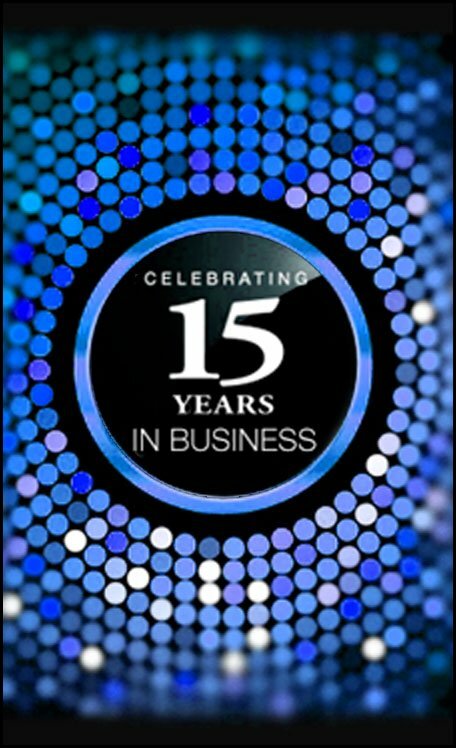 We’ve got the tools and the experience to take great care of your business. Call AVAREN today for a no obligation consultation. An estimate for our services can be prepared within 72 hours of a visit by one of our analysts. Call AVAREN today and get your team the qualified help they need. 214-379-4200. 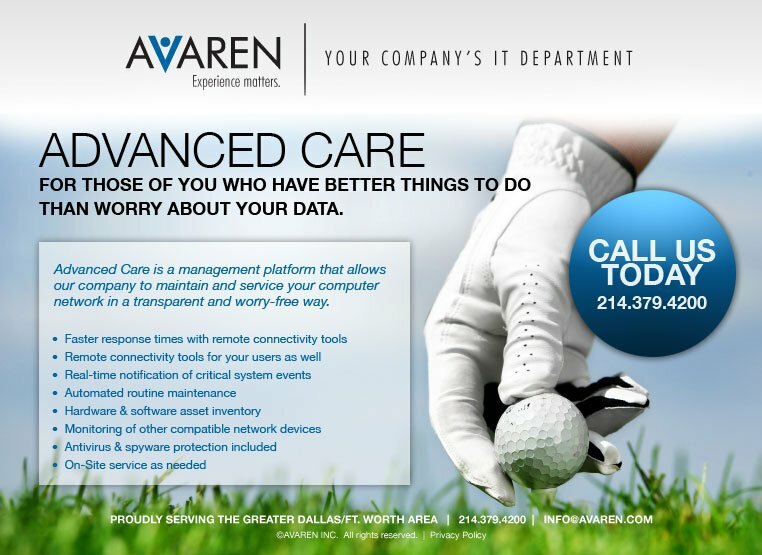 AVAREN is a managed IT services company serving the Dallas Fort Worth Metroplex. Tier 1/2/3 onsite and remote support as needed. We give your team access to our ticketing system. AVAREN utilizes ‘state of the art’ fleet management and reporting systems. Every detail of your system’s status can be tracked. We have the latest in automation and management systems; minimizing the labor needed to support computing infrastructure. Best practices derived from years of experience, coupled with 24/7 PC, server, and system monitoring. We bundle an entire layered approach to network security including gateway and DNS security, anti-virus, spam filtering, and more. We make IT simple for our clients by managing dozens of systems for them. Instead of a dozen bills and agreements, our clients have one. Why choose AVAREN for IT Consulting? Lower cost compared to hiring in-house staff. AVAREN provides your business with the support team and management tools your computing infrastructure needs; and we do it for less than the cost of hiring a full-time IT person. With AVAREN however, you have multi-decade computer analysts working with you to help determine the architecture of your computing systems. We simplify IT for the business manager. When you engage with AVAREN our team begins to worry on your behalf about all the varied aspects of your computing systems. Concerns like spam-filters, backup systems, anti-virus, firewalls, employee Internet usage policies, etc., all become our concern instead of yours; allowing your management team to delegate with ease. With AVAREN, there are no contracts or long term commitments. Some IT departments try to lock your business in to very long term agreements. We usually keep our clients for 5 or more years, thus “turn over” of clients isn’t a problem for us. We are confident in what we do. We bring the needed tools with us. AVAREN makes IT support simple for our customers via our service bundle. Your team won’t have to worry about managing dozens of software subscriptions and licensing agreements. We can do all this for you with ease because we already do it for dozens of other businesses in North Texas. Where IT is concerned, multiple heads are better than one. AVAREN provides your business an entire team of IT pros with a broader vision of the IT field than what is possible for any individual. 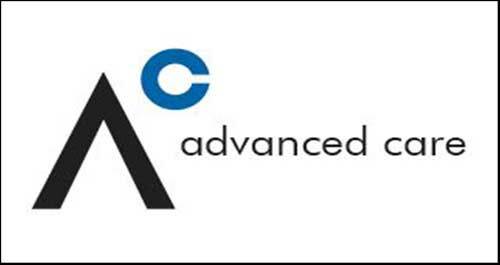 Our team has decades of combined experience providing IT consulting to businesses located in the North Texas region. Our Restore Anywhere backup solution for servers is 100% managed for your convenience. Both the on-site and off-site portions of the backup process can scale as you require. Want a particular set of servers or PCs going to the cloud? No problem. The Restore Anywhere Device (RAD) keeps an archive at your firm in addition to off-site. Restore to a virtual machine (VM) on a RAD, a VM in the cloud, similar or dissimilar hardware. We try to pre-anticipate what our clients may need before they need it. AVAREN can manage all aspects of your company’s internet security. Your gateway configuration is routinely and automatically backed up off-site. Security enforcement built into the foundation of the internet. AVAREN’s tools provide visibility into your company’s internet traffic. AVAREN uses an (IPS) capable of auto-blacklisting hackers when they hit security tripwires. In an emergency, your gateway configuration can be restored to spares we keep locally. AVAREN can filter outbound internet access and improve employee productivity.